After the ill-fated bicycling attempt I go back to the hotel, shower, and decide to head downtown on the bus. The bus was very slow. 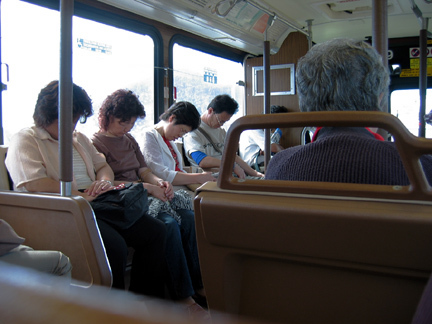 Here is a group of five Japanese tourists who were evidently suffering from jet-lag.